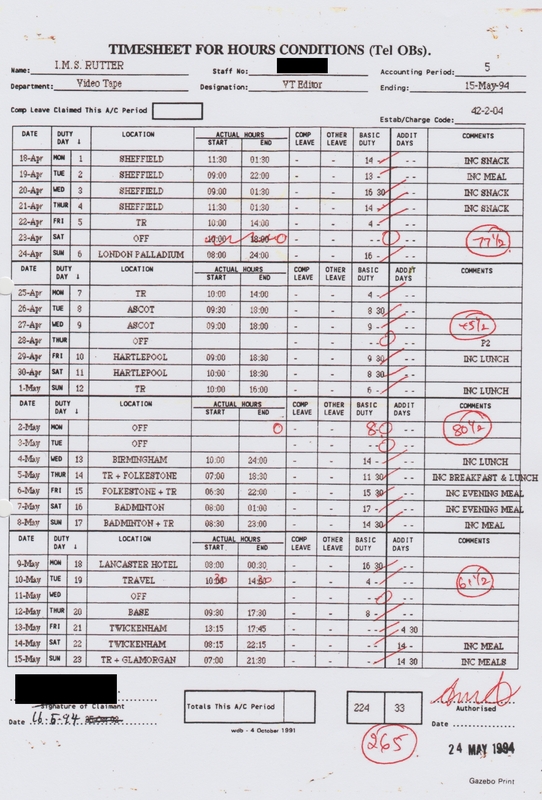 Ian Rutter’s timesheet, April-May 1994. Ian’s signature and BBC staff number have been redacted. Click the image to open a full-size version in a new tab. 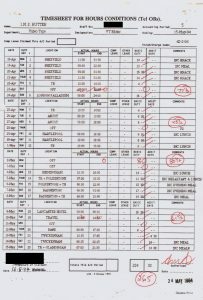 This timesheet, completed by outside broadcast videotape editor Ian Rutter in April and May 1994, gives a unique insight into the working patterns of outside broadcast television production during that period. Ian’s feet scarcely touched the ground during the busy month between 18 Apr and 15 May 1994. He joined outside broadcast crews on assignments in Sheffield, London, Ascot, Hartlepool, Birmingham, Folkstone, Badminton, Lancaster, Twickenham, and Glamorgan. Some jobs were sport, some were entertainment. His working days were long – averaging 11 hours – and included early starts and late finishes. The timesheet shows that Ian’s longest working day during this month was a 17-hour stint at the Badminton Horse Trials, which saw Ian working from 8am until 1am the following morning. 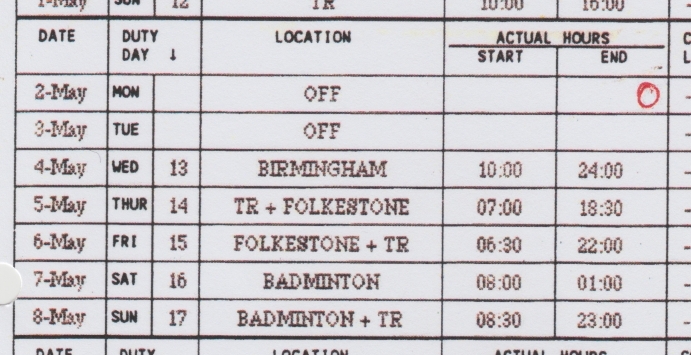 This timesheet reflects the intensity of work schedules for television outside broadcast crews. 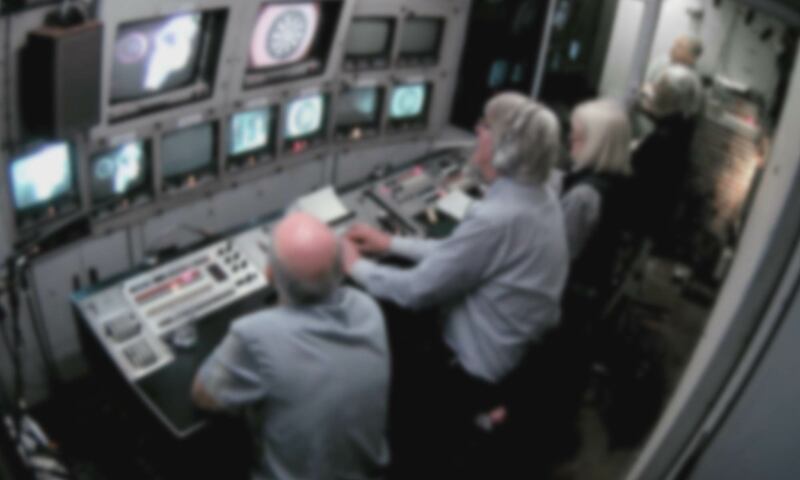 See the bottom of this page for a video in which the retired BBC crew who participated in our reenactment exercise reminisced on the unique sense of camaraderie which this career created.